Summer has been flying by this year. I can't believe July is already almost over! Towards the latter part of summer, a surplus of fresh corn simply begs to be grilled, roasted, and boiled. It's a wonderful ingredient to add a taste of summer to nearly any dish. I love using fresh corn, whether I'm making creamy and luscious corn soup or a truly unique pasta sauce featuring corn crema, pizza topped with cherry tomatoes and corn or a corn risotto. 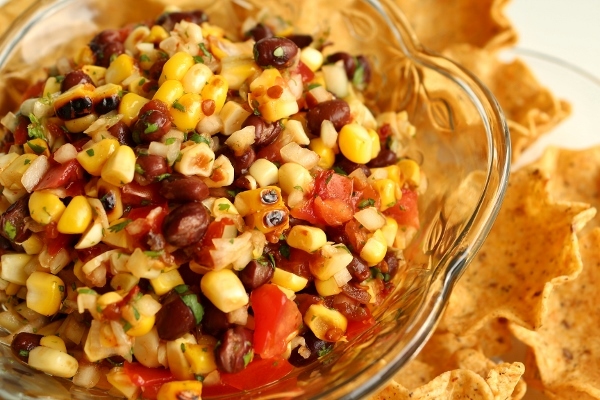 Corn is a great ingredient for delicious snacks as well. 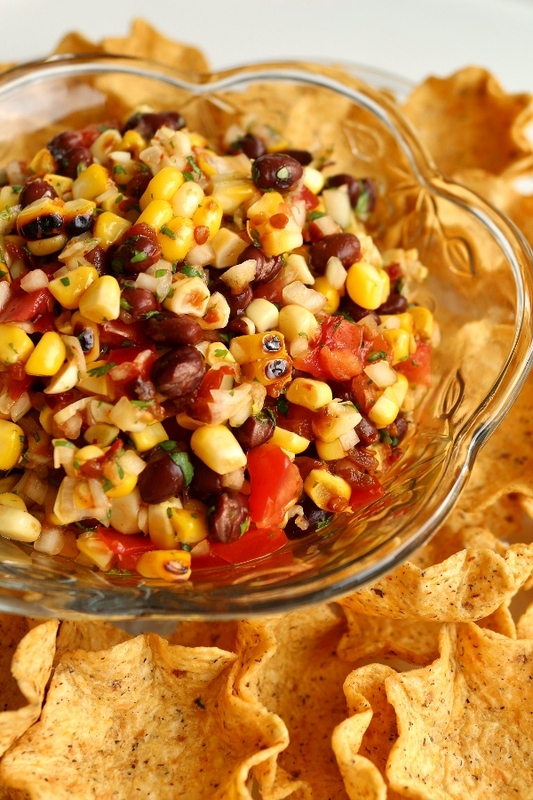 This roasted corn and black bean salsa is an incredibly easy and delicious way to feature corn in a flavorful salsa that can be used to top meats, stuffed into quesadillas, or simply served with tortilla chips. 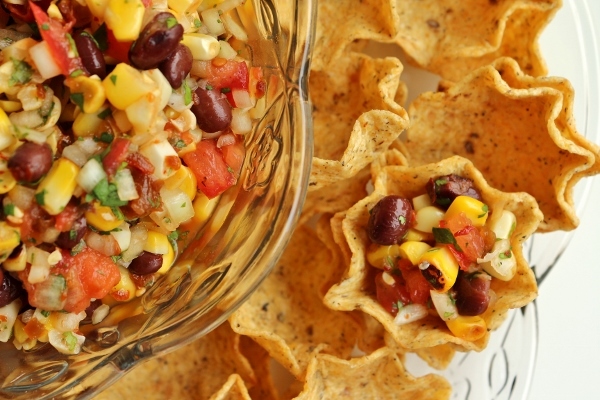 I recommend using tortilla chip scoops since they can comfortably hold a big spoonful of this chunky salsa along with some of the juicy lime-based sauce that holds it all together. 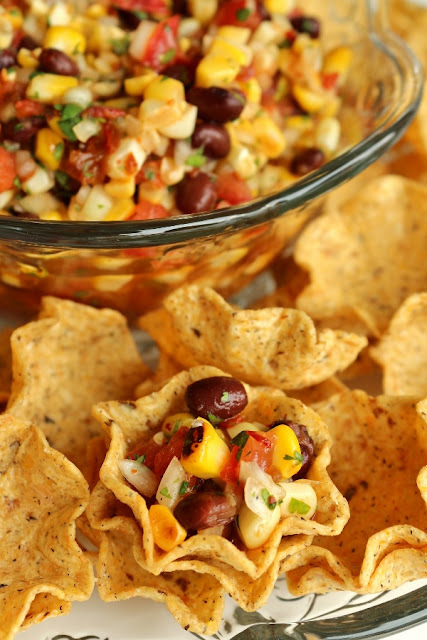 Canned black beans create a nice base for this salsa, although if you're able to cook your beans from scratch they will obviously have more flavor. 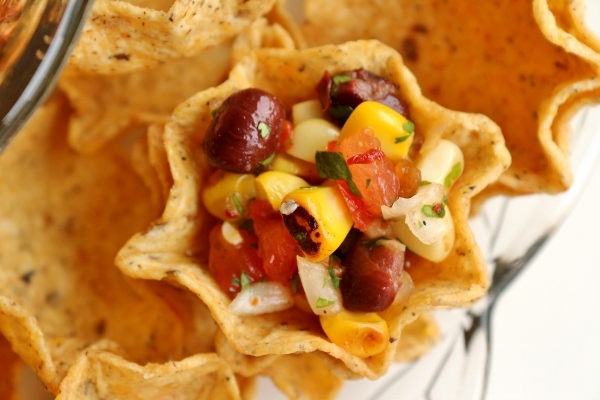 In either case, the remaining ingredients in this salsa certainly add tons of wonderful summery flavor, from the fresh tomato to the crunchy onion and smoky chipotles in adobo. This is an excellent late summer snack and accompaniment for a variety of grilled proteins. Definitely try it out before summer comes to an end! Lightly coat the corn with oil. Heat a heavy skillet or griddle over medium-high heat. When hot, place the corn in the pan. Rotate it every few minutes until it is well browned on all sides. Remove from the skillet and allow to cool. Cut the corn from the cob and place the kernels in a bowl. Stir in the beans, tomato, onion, chipotles, cilantro, lime juice, and salt, and sprinkle with cotija cheese on top, if desired. *Serving Ideas* This salsa is colorful and delicious on tostadas or tostones (fried plantain slices) as a botana (snack), tossed in a salad, served alongside grilled meats, or added to a gooey quesadilla. 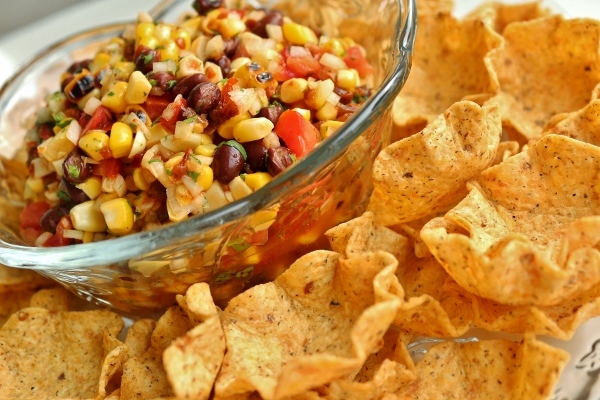 Substitute 3/4 cup of cooked diced orange sweet potato for the corn for an equally delicious seasonal variation.